Welcome to the Center for Electrolysis and Skin Radiance! At this Center we offer State of the Art Equipment and provide our clients with the best care available with empathy and a commitment to excellence. Since it was invented back in 1875, Electrolysis has always been the only permanent method of hair removal. We are located in a private/professional suite where you will experience a spa like setting. Electrolysis - This treatment is effective for all skin types. Difficult cases are welcomed especially women with PCOS. 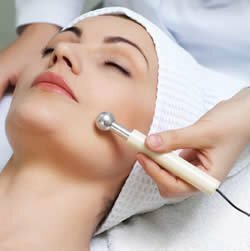 Microdermabrasion - A skin care treatment that improves fine lines and brings out the natural glow of your skin. LED Light Therapy - Stimulates cellular regeneration resulting in a flawless complexion. Convenient Hours - Daytime, Evenings, & Saturdays. Education is most important & Questions are welcomed! Complete medical sterilization using autoclave and disposable probes. Imagine not having to shave, tweeze, or wax your unwanted hair ever again. Beautify yourself now in private, relaxing environment. The latest computerized equipment is utilized and all instruments are completely sterilized in accord with the Center for Disease Control. GET PERMANENT RESULTS IN JUST A FRACTION OF THE TIME!